Now more than ever, a large portion of Arabs are aware of the deterioration of the environment around them. Every day and all year round, blog, tutorials, and DIYs are posted about a greener, less-plastic oriented lifestyle. The positive trend is growing and Arabs are picking up the pace. One of the cornerstones of such a lifestyle is compost, and for those of you not familiar with the concept, we are going to break it all down. Compost is a green, environment-friendly method that utilizes food remains into something useful instead of contributing to food waste, one of the worst problems facing us as humans today. For perspective, it is estimated that 50% of all the food produced globally is never eaten. Now, combine that with the fact that 800 million people go to bed hungry every night, and you have yourself a morally-unjustified paradox. 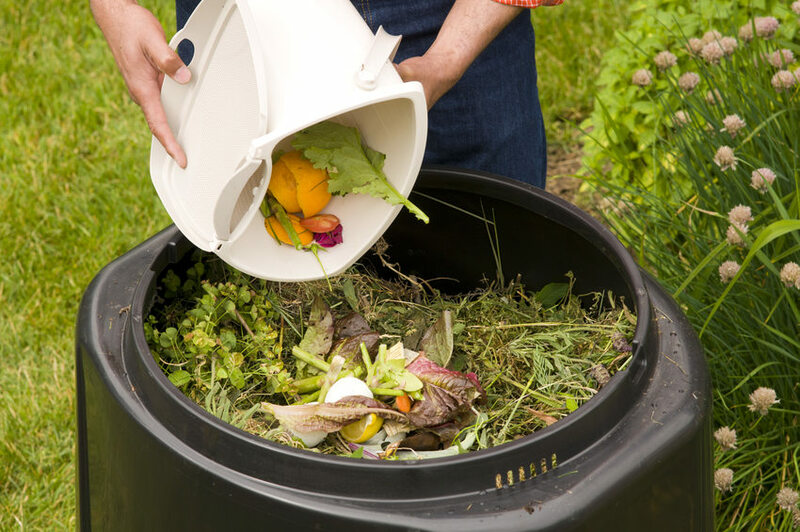 With composting, all the organic food remains that is rich in nutrients are converted to a fertilizer that supplies plants with all the required elements for its growth and development. It will also reduce garbage volume, and if you happen to have a garden, it will make an excellent fertilizer. Now how can you make this happen? It is very simple. Instead of buying a brand new compost bin, you can fetch an old plastic container, cut a few holes in the top, and that is it. Preparing a compost batch is even simpler; gather food wastes from the previous day, such as fruits, vegetables, eggshells, and nutshells. Not only food remains, but also a wide scope of other things like clean paper, shredded newspaper, cotton rags, hair, fur, and even grass clippings. Put all of this in your compost bin and just leave it to decompose. Leave the compost bin in an open area, until it is completely done. When finished, it should look, feel, and smell like rich, dark soil. You should not be able to recognize any of the items you originally placed in the pile. And voilà, you have your compost and you could mix it with the soil in your garden or in your potted plants. It will work as great a fertilizer. How is this useful? You are not personally contributing to the enormous amount of food that is thrown away every day. Also, you are going green, helping the world by using the compost to grow plants that will give out oxygen and reduce the ever-increasing carbon dioxide gas. WE SAID THIS: Being environmentally-responsible is the only way we can help save the planet.